Yup time is running out on his holdout. Haven't been on in a while but I would like to chime in. I really hope Donald signs before next weeks game. He's not getting QB money. Even if he's given a Suh type deal, adjusted for inflation, Suh was never quite on the QB level in terms of AAV, guaranteed money, or salary (there were always multiple QB's earning more). This is CAA and Todd France (so basically, Tom Condon's protege) trying to get a contract that they know the team won't be able to honor and (quite possibly) have to release (or extend and go into cap hell in order to do that and put money on the ledger into near 2030) Donald prematurely from once his guarantees run out so that they can basically write in another round of free agency sooner than later. It's typical Condon behavior. 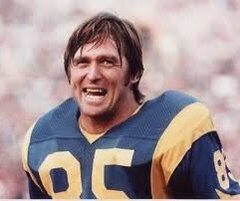 The way I see it, the Rams have the leverage. They have Suh on the line with Brockers and a healthy Easley I think will be very productive. If Donald holds out because he wants 25mil and if everyone knows the Rams are offering him 21mil but he isnt taking it, the public will lean towards the Rams side. 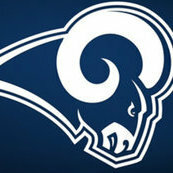 Plus the Rams can franchise tag him twice and he wont be a free agent for three more seasons. You think he wants to hold out each of the next three seasons and miss regular season games? Like thats a pretty hard stance. Its totally different from the Mack situation because the Raiders defense is terrible so they need Mack in the worst way. Again the Rams can still do fine with the defense they have out there. Again they have another top notch DL in Suh and a pretty good one in Brockers. Having Donald will make the Rams defense elite but without Donald the Rams defense will still be good if Suh can have his best season to date which I expect him to have since he will be motivated and playing under Wade. 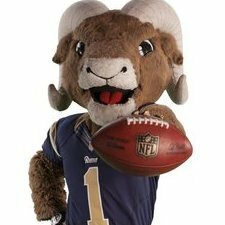 I think the Rams know all of this and will not give in. Being the highest paid defensive player in NFL history is a very fair offer from the Rams. Hopefully Donald and his camp wise up asap, so he can get paid and this distraction can all go away. If Donald Doesn't report by tomorrow I believe, he doesn't accrue another year of service time so he's a RFA at the end of this season. So we wouldn't even need to franchise him, could tender him at Level 1 and then attempt to match someone else's offer or take their 1st and 3rd rounders. Really helps us. Let him walk away from highest D player ever. Do not cave to QB money. I'm fine with recouping a 1st and 3rd next year. That, or he is a Ram for 4 years and doesn't play. He has zero leverage. I'm all for a player getting his money he is worth, but that number is potentially crippling. Hopefully. It's been harshing my football buzz...Everytime I get excited my mind reverts back to "but no Donald yet" I'm at the point of just get the deal done at this point and win a Superbowl and worry about the rest later. Yeah same. I’m ready for it to be over. Hopefully there’s some truth to this and we’re not just getting our hopes up again. Hopefully, the news will break this week. 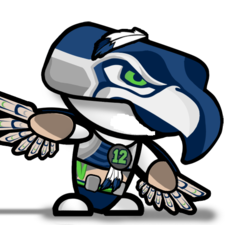 Lets get this done and put the full team out there week 1 in Oakland!